must avoid the release of black smoke and fine dust,during the loadings. 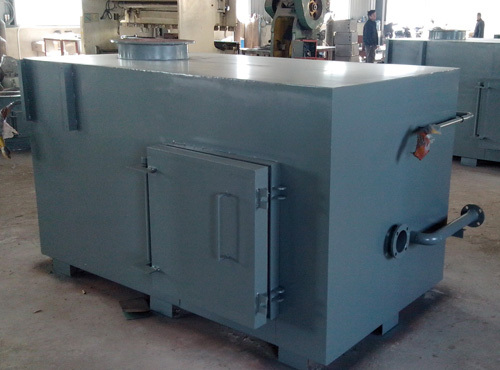 A Burner of lighting which the use is limited to the ignition of waste. and stuffing insulating out of refractory. alluminuim and isulates bricks in order to assure a minimum temperature on the outside sheet metal. Plate of combustion I Carborundum,avaoidingthe fixing of glass of slags. A chamber of paosting ,a divece of air intel of the gases burn. 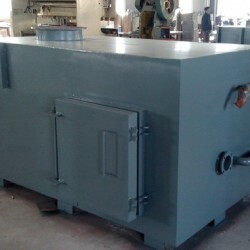 Cracass in strong sheet steel with support of connection. A secondary injection of air to ensure perfect oxygen content. a acontrol box ensuring the compete cycle of oxygen. batches of spare parts of its first urgency and consumable of the incinerator. of curative and preventive maintanance and the use of of machine etc. INCLUDED IN THE INCENARATOR’S PRICE.